This was so great! 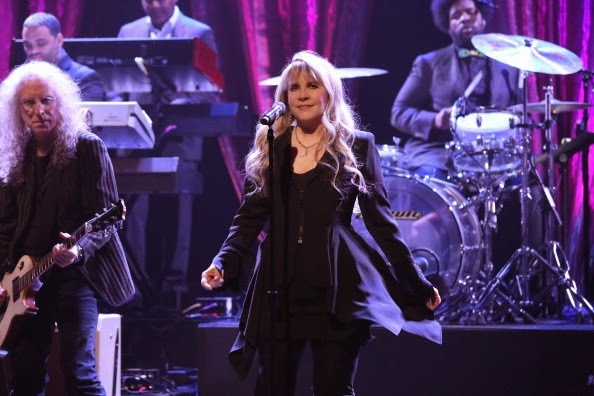 Stevie also performed "Edge of Seventeen" with The Roots. 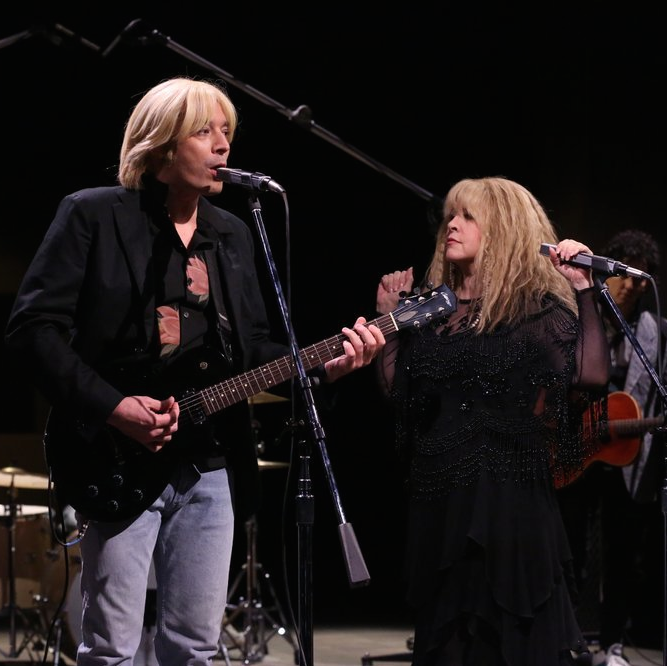 Sharon, Lori and Waddy were also there backing her up.. She looked great, sounded exceptionally well and lit the place on fire with the performance.. it was great!! No video of Edge just yet, but there will be. But this re-creation was awesome... I can't believe Stevie went for it! 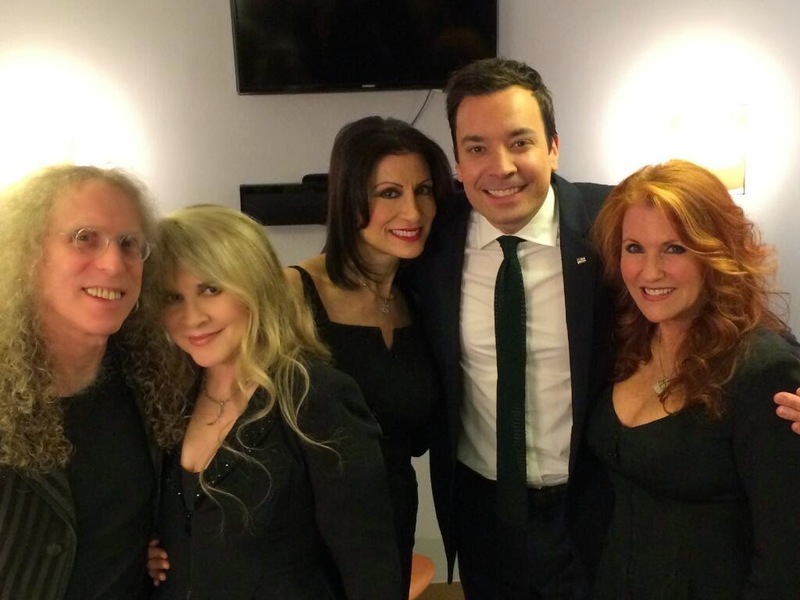 Stevie Nicks, Waddy Wachtel, Lori Nick, Sharon Celani and The Roots "Edge of Seventeen"
ROCK ON!! Stevie nailed it! BEAUTIFUL, haunting and loved the hair! Wow absolutely freaking awesome!!!!! Love the shawl she chose and the wig (that is a wig, right? yes it has to be). Love that they performed it so close to the original. Saw a clip of the video for "Edge..." Yes I just answered my own question that had to have been a wig. Stevie looks like she is having so much fun! She can definitely rock. I would love to see her do a harder rockin sole project....say with Dave Grohl. Love everything she does but that would be great. Sounds great in these videos, Anonymous #5 has hit the nail on the head - less nasal, more throaty. JUST how I love Stevie to sound! She's incredible. This is hilarious. Loved that she went with it, even though she's talked about how she hated making that video because she didn't know the words and those beads in her hair kept slapping her in the face! You're correct about her voice - I noticed that when she sang with Lady Antebellum the other night. She sounds really good. But both songs-- incredible! Freak in nailed it! She should be in great voice for Libda Ronstadt tribute tonight!! I'm hoping she and LA do a video for Golden too-- she sounds amazing and looks stunning! That's my baby girl she is having a lot of fun with these gigs in last week or so. Ya love the Fleetwood mac but I think someone nailed it she having more fun by herself when she not around FM. Anybody notice she takes away the "Clouds never" part and the "OOOOOHYEEEEAH" the last tour and here? She REALLY dug in to that song! I had goosebumps and a big smile on my face by the end. This was totally awesome!!! Stevie, you are amazing! You just keep getting better!!!! Loved it! Amazing job and surprise from Stevie - can't believe she did this - big cool points lol. Awed and inspired! and love Jimmy's comment about when she was on his show a few years ago which I remember well. It was adorable when she gave him that gift. He was genuinely touched then and still now. And yes I agree she nailed her performance. Yes, better solo but for now will enjoy the FM tour in the fall. I think the reason Stevie sounds so frikin awesome is that... Well, she isn't on tour where tens of millions of $$ are at stake with cancellations, etc & not having the stress of performing 3 nights or more a week she has the freedom to "let it rip" and really sing like she is fully capable of. She sounds so great these past several performances. With a 2 song set why not just give it your all! And She Does!